Many people come to me for treatment with sore shoulders. 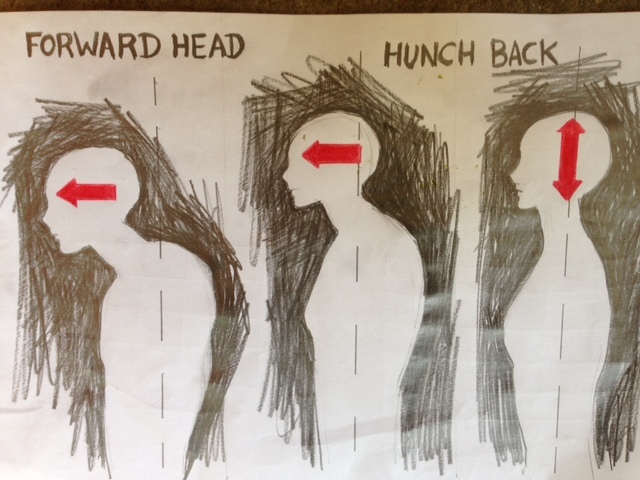 In the vast majority of cases, it is very obvious from the moment I open the door to them, that they are holding themselves in what is commonly known as a ‘forward head posture’. When habitually leaning forward with your chin stuck out, the weight of the head is thrown on to neck muscles which are not designed to take this extra 5 Kg of weight. This leads to pain across the top of the shoulders, tightened chest, and in extreme cases, the appearance of a hump back. A deep tissue massage will address the resulting trigger points the stressed muscles from this posture creates. To avoid future pain in the shoulders, you must be aware to keep your chin tucked in and the top of your head nice and tall. It is very easy to stick the chin forward when busy looking at a screen, driving, rushing to get somewhere, but if you stop and tuck it in, this will soon become normal posture and you will no longer have the associated shoulder pain.